The F-TYPE sports car showcases the best of Jaguar’s stunning design, cutting-edge technology and dynamic performance credentials. The Coupé is the flagship model in the Jaguar range alongside its convertible sister car. Four variants are available: F-TYPE, F-TYPE-S, F-TYPE-R and the F-TYPE British Design Edition. The perfect proportions, tapering roofline and muscular wheel arches of the F-TYPE Coupé give it a confident road presence. It has a long bonnet and a low profile comprised of sharp lines and elegant curves. With large diameter bespoke alloy wheel designs and subtle sporty details, the F-TYPE is unmistakeably Jaguar. The British Design Edition adds a racy sport design package ensuring this variant turns heads wherever it goes. Every aspect of the F-TYPE’s cabin is designed to optimise the driving experience. The low-slung driving position, supportive sports seats and intuitive cabin layout all serve to enhance the thrills. Soft leather upholstery is fitted across the range for a premium feel. There is a choice of a 3.0-litre V6 or a 5.0-litre V8 engine beneath the F-TYPE’s sculpted bonnet. Buyers can also choose between rear-wheel drive and Jaguar’s sophisticated all-wheel drive system. The V8 variant sprints from 0-60mph in four seconds and has a top speed of 186mph. Whichever F-TYPE Coupé you choose, the perfectly balanced handling and exceptional cornering abilities make it a joy to drive. Each F-TYPE trim level is equipped with Jaguar’s InControl infotainment system with Bluetooth® connectivity and smartphone integration. F-TYPE-S models and above feature a limited slip differential and torque vectoring and higher grades add even more advanced performance technologies. You can have total peace of mind when driving the F-TYPE Coupé, thanks to the strong aluminium body and powerful braking system. Book a test drive now to experience the thrill of the Jaguar F-TYPE Coupé for yourself. You can get in touch with the team by phoning directly on 01270 449293 or making an enquiry online. The F-Type has formed a crucial part of Jaguar’s line-up for some time now, providing sports car looks and thrills to contrast the more practical vehicles in the British manufacturer’s range. Traditionally powered by large, dynamic engines it’s now been fitted with a smaller, more efficient unit. What’s new with the Jaguar F-Type? The biggest change to the F-Type is that all-new engine. Despite its relatively low capacity, the four-cylinder, 2.0-litre unit still manages to churn out 295bhp and a genuinely impressive 400Nm of torque. The biggest benefit of having a small engine is economy, and the F-Type is bang on the money in this respect, returning 39.2mpg on a combined cycle – a reduction of more than 16 per cent compared with the V6-powered F-Type – and emitting just 163g/km CO2. There’s also a wider range of safety systems fitted to this F-Type, including autonomous emergency braking, traffic sign recognition and lane keep assist. The interior has been updated, too, with new lightweight sports seats and Jaguar’s latest Touch Pro infotainment system, the latter being a huge step up in terms of usability and responsiveness over the previous generation. As usual, the four cylinder is available in either the Coupe or Convertible F-Types. What’s the Jaguar F-Type like to drive? The original F-Type always had a certain muscle car feeling to it. That was most likely down to the traditional front-engined, rear-wheel-drive layout – though of course the all-wheel-drive versions changed this – as well as the stocky and powerful pair of engines that were available to choose between. On the face of it, the Jaguar F-Type has changed very little. Sit behind the wheel and, yes, some elements of the cabin have changed and, yes, the new lightweight slim sports seats do provide a little more comfort than the units they have replaced, but you could be sat in pretty much any other F-Type – until you start the engine, that is. Whereas you’d usually expect the low grumble of a V8 or the crackle of a V6, you’re greeted by a much throatier hum than you think you’d get from a four-cylinder – boring it ain’t. Up and running, the F-Type feels a touch sharper than those powered by either a V6 or V8. Turn in is very good, and the car feels more sprightly than before. This is due to the four-cylinder’s 52kg weight saving over the equivalent V6-powered model – and you certainly feel it. There’s next to no turbo lag, and the plentiful torque on offer means that the car is relaxing to drive when you want it to be, while acceleration still feels more than adequate for a sports car – it takes just 5.4 seconds to hit 60mph. The Jaguar F-Type’s ride is also impressive, dealing admirably with lumps and bumps in the road. The car’s spring rates at the front and rear have been reduced to compensate for the overall reduction in weight, and they’ve been tailored in just the right way, giving enough stability through corners or at higher speeds as well as plenty of ride comfort at lower speeds. How does the Jaguar F-Type look? There’s no denying that the F-Type is a pretty-looking thing. Thanks to redesigned bumpers and new LED headlights it looks fresher still, while our test car’s Ultra Blue paint colour really did make it an impressive car to look at. What’s the Jaguar F-Type like inside? The inside of the F-Type four-cylinder is much like that found in the standard F-Type. That’s no bad thing, as its driver-focused nature suits the overall feel of the car. The new, slimmer sports seats offer plenty of support too, and look noticeably better than the older ones. What’s the Jaguar F-Type spec like? Prices for the F-Type four-cylinder start at £49,000.  For that, you get an increased variety of driver assistance systems, adding to the car’s safety levels. Autonomous emergency braking comes fitted as standard, and this system can detect a collision and apply the brakes should it need to. You also get Touch Pro – Jaguar’s latest infotainment system. Controlled via touch, it’s leagues better than the older system it replaces, and incorporates features such as satellite navigation, media connectivity and Bluetooth. It also allows for pinch-to-zoom map controls – really handy when trying to quickly find a destination – as well as a ‘Commute’ mode that learns regular journeys, then giving estimated arrival times inclusive of traffic conditions on the route. Representative Example relates to a F-TYPE Coupé 2.0 2dr R-Dynamic Auto 300PS Auto RWD. 5.9% APR Representative available on new Jaguar F-TYPE Coupe models registered between 1st April 2019 and 30th June 2019. With Jaguar Privilege Personal Contract Purchase you have the option at the end of the agreement to: (1) return the vehicle and not pay the Optional Final Payment. If the vehicle has exceeded the maximum agreed mileage a charge per excess mile will apply. In these examples, 14p plus VAT per excess mile up to 4,999, or for excess mileage of 5,000 or more, a charge of 28p plus VAT will apply to each excess mile above the maximum agreed mileage. If the vehicle is in good condition (fair wear and tear accepted) and has not exceeded the maximum agreed mileage you will have nothing further to pay; (2) pay the Optional Final Payment to own the vehicle or (3) part exchange the vehicle subject to settlement of your existing credit agreement; new credit agreements are subject to status. Representative Example and Finance examples are based upon an annual mileage of 6,000 miles. Credit is subject to status and is only available to UK residents aged 18 and over. This credit offer is only available through Black Horse Limited trading as Jaguar Financial Services, St William House, Tresillian Terrace, Cardiff CF10 5BH.